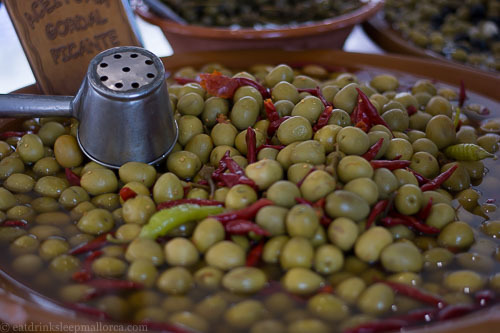 Today is the first day of this weekend’s olive fair, or Fira de s’Oliva, in the village of Caimari. It’s a pretty little village, in the foothills of the UNESCO World Heritage Site Tramuntana mountains, less than five kilometres from the large town of Inca – but a world away in terms of character and scenery. We arrived with friends this morning just before the event began – in a bid to find easier parking than we had last year. We were soon touring the stalls in the main square and the few streets leading off it. Many of the goods on display and for sale were olive-related, as you’d expect, but there were others, including several excellent cheese stalls (and we bought some particularly fine cheeses), sausages and preserved meats, honey, artisan beers, and handicrafts – among others. 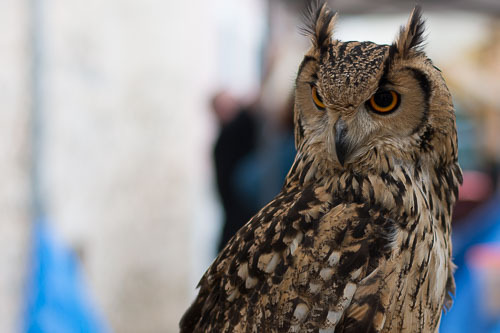 There was even a stall with a display of birds of prey. 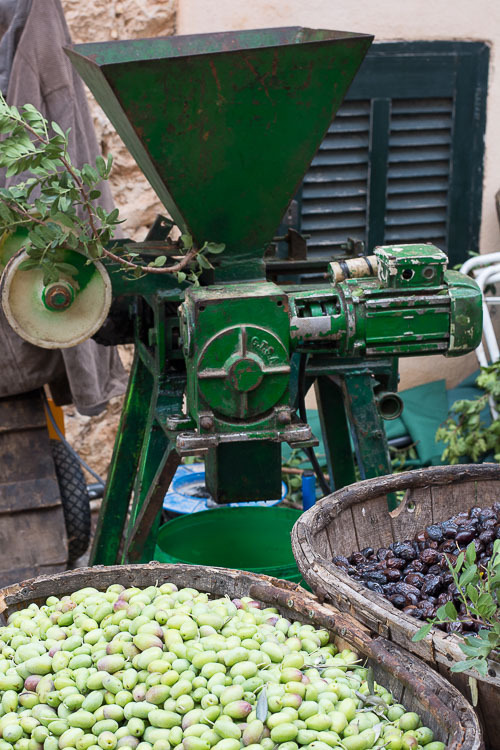 Everything the olive farmer could want . . . If you’re going to visit tomorrow, be sure to head to the new church – housing a display of art and artisan goods for sale. And don’t miss the chance to see inside the old village tafona, or olive press. 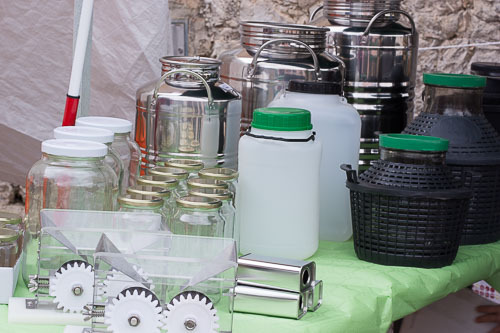 Choose from many types of preserved olives. After a lovely warm sunny autumn so far, the weather changed today. Caimari was being battered by sudden gusts of wind, and some rain this morning – but it didn’t seem to impact on the popularity of the event. We would like to have eaten lunch at Ca Na Toneta – a delightful restaurant in a village house – but all tables were booked in advance. It’s not surprising, as this small place run by Maria and Teresa Solivellas is a true gem, where we had a great dinner during the summer. 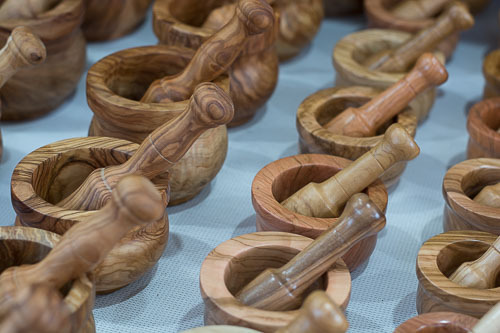 Caimari’s Fira de s’Oliva continues tomorrow from 10am, but we’ll be at another event closer to home . . . celebrating mushrooms instead.